The moniker LIFE was first used in 1980, when guitarist, vocalist and song writer ROBIN GEORGE released a single on a small label. Back then the band consisted of the likes of Robin (of cause), Mark Stanway (Later of MAGNUM fame) and Dave Holland (ex TRAPEEZE, later JUDAS PRIEST). Robin himself had served time in bands with Roy Wood and David Byron, before going solo with “Dangerous Music”. He was also part of a very late incarnation of THIN LIZZY. Robin has played with and produced with a number of famed musicians without really getting into the spotlight himself. In 1992 Robin formed a band with Nick Tart, later of DIAMOND HEAD, bassist Chris Cliff and keyboard player John Young. Today Robin is involved in bands/projects like DAMAGE LIMITATION and THE LOVEPOWER. 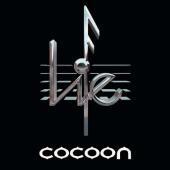 But back to 1992, and the first real official release of LIFE, I hope there is still life in the project. First out is “Dangerous Music”, and it works nicely in true British fashion from the first chord on. They place themselves in a genre of rock, 80´s and hard rock without becoming AOR. Apart from that “The American Way” is gentle, with a penchant for JOE LYNN TURNER. The bluesy and somewhat crawling style is back again in the title track. Too bad that very track feels less inspired than a lot of others on the album. “Freeride” echoes more of the 60´6/70´s than of the nineties, but is part o a kind of core of the album, a core of thirty years of Brit rock. The lighter ballad “Oxygen” would no doubt have brought in millions of $ for a hair metal band back in the late eighties. But now it has been overlooked in spite of velvety vocals from Nick, and a heartbroken guitar courtesy of Robin. I remember Robin as a younger talent with old-fashioned style, and “What Goes Around Comes Around” confirms my memories. It sounds way older than the date of this album. The album is filled to the brim with good times rock on one hand, and heart-felt relation problems on the other, as in “Losing You”. The blues in songs like “I Believed in You” was probably an obstacle to get a record contract in 1992, the album was too cheerful for its day, plus that GARY MOORE had sort of trademarked the blues at the time. Another issue is that the gems are too scarce. There are “Dangerous Music” (of cause), “Oxygen and few more but they are among the bunus tracks (“Let It Burn” and “The End of the Line”). The latter is a really stylish closer. But I really need to remember more of the 15 tracks on offer to raise the mark.